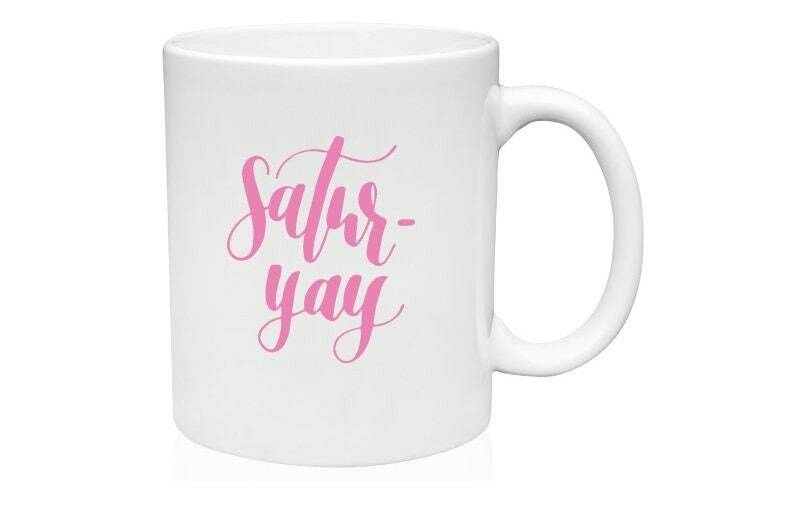 Celebrate Saturdays with this mug! This listing for an 11 oz. 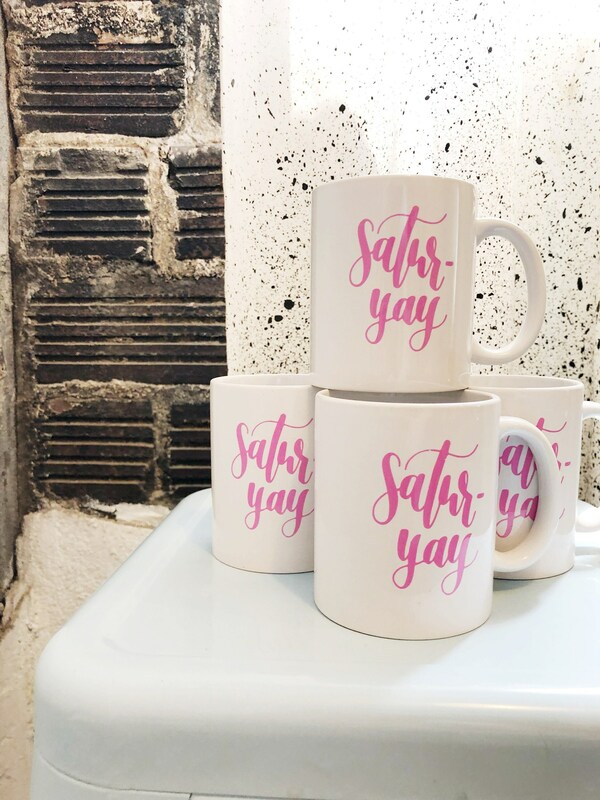 white and pink Satur-yay mug. 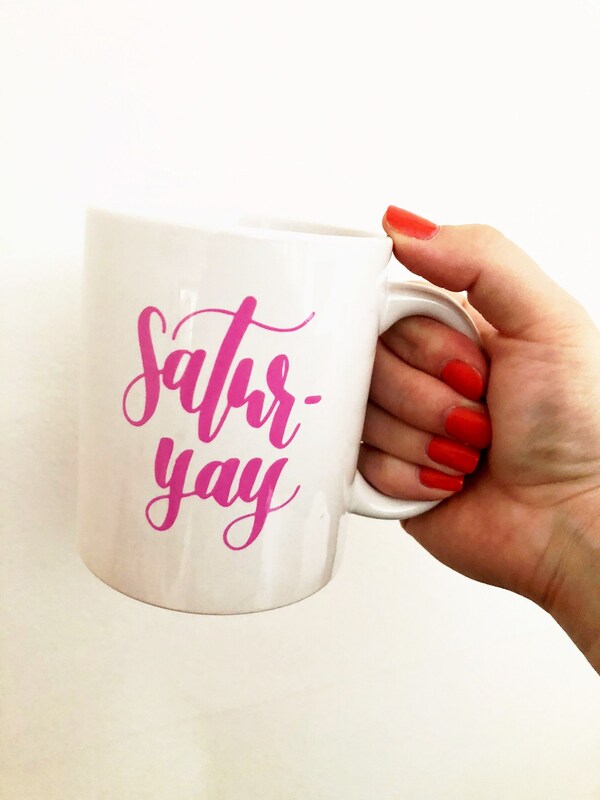 The design is calligraphed by me and screenprinted in pink on a white ceramic mug by a manufacturer. Pleasant Avenue Paper Co. appears on the back in small print. Image is a digital rendering. Use code LOCAL to waive shipping and arrange a pickup in Omaha. Wholesale is now available! Local shops may qualify for extra perks like in-shop appearances and free delivery. Message me for details. Cards do not ship with tracking information. Upgrade to U.S. Priority available upon request. Fees apply. 1. Double check the address provided. Buyers sometimes forget to keep an updated address on file or forget an apartment number. 2. Check near your front door. Some packages may not fit in some mailboxes and sometimes postmen will leave them inside your door or under a mat. All cards are blank inside. Personalized messages available by request. Do you really hand-paint each card? Yes! All paper goods are made-to-order. No printing here. When requesting a custom order, it is the customer's responsibility to read the custom listing thoroughly. Pleasant Avenue will only replace custom designs that are irreparably damaged in shipping or do not match the product description in the custom listing.